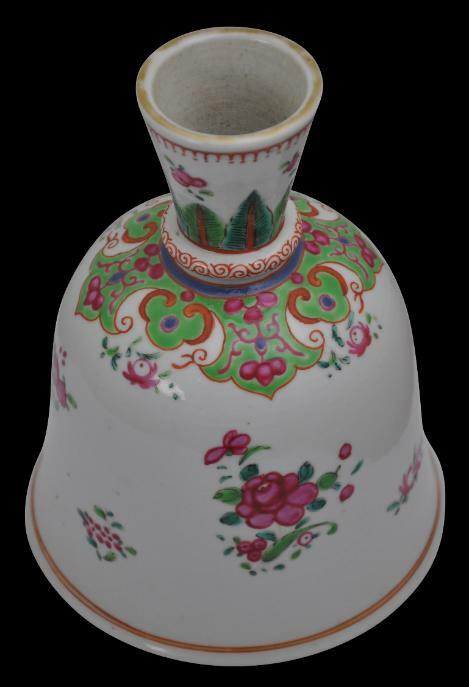 This porcelain hookah base was made in China for export to northern India. 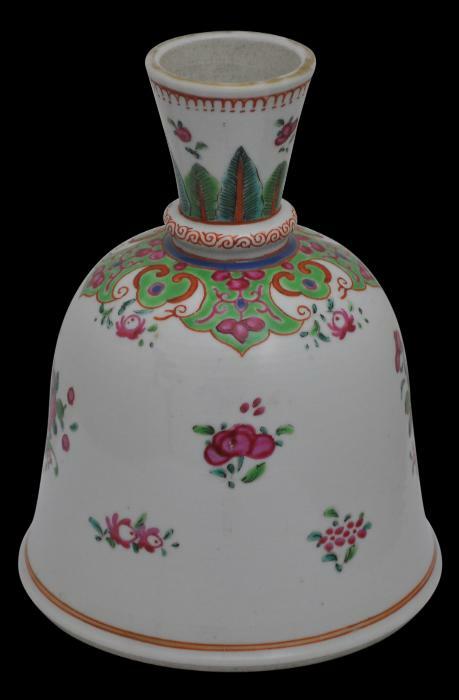 It has a cream glaze and polychrome floral and leaf decoration. 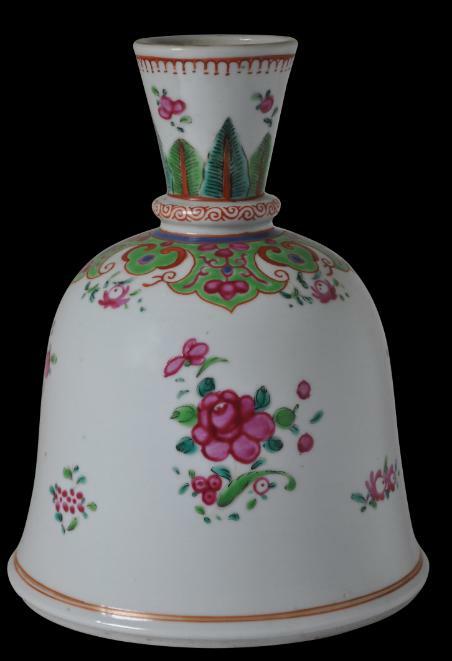 Much China trade was conducted not just between China and Europe (and the US) but also between China and Asia, often on European ships, such as those belonging to the British East India Company. It is unmarked. 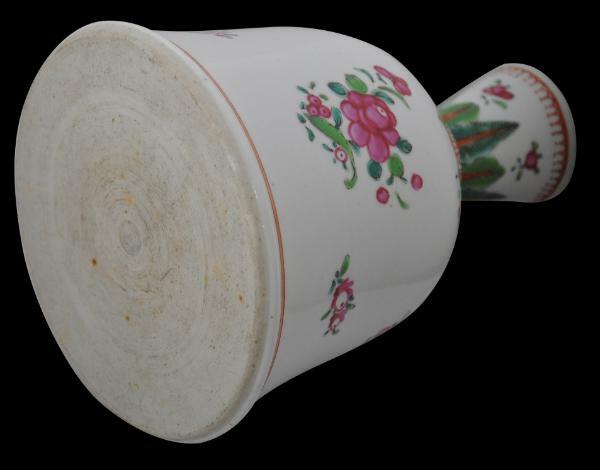 It is in perfect condition, other than for some wear to the gilding on the rim.